In the 1950s, times were simple and furniture was still made of real materials like metal and wood. Welcome back to those times! Our retro diner table is just what you've been looking for. Our retro table is commercial quality and built to last. The legs of our hairpin table are made of tubular chrome plated steel. 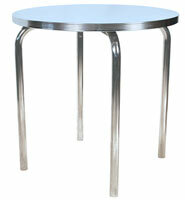 The edge of the table features a matching grooved aluminum. Our table tops are made one at a time by hand in the USA. Since each table is made one at a time, you can choose any laminate from Formica.com or Wilsonart.com. 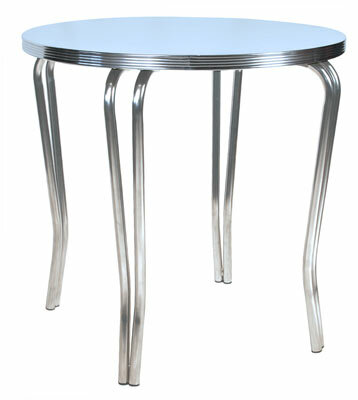 If you are looking for a unique size, or a different table base please call or send us an email. We love custom jobs.